Kolkata, March 26: Watching teammate Andre Russell bulldozing Sunrisers Hyderabad bowlers was a breathtaking experience for KKR pace spearhead Lockie Ferguson, who is happy that he does not have to bowl to the West Indian this IPL. The Jamaican single-handedly won the match for Kolkata Knight Riders with his unbeaten 49 off 19 balls in their opening match. "It's one of those I've never seen anything like that personally. That was unbelievable. 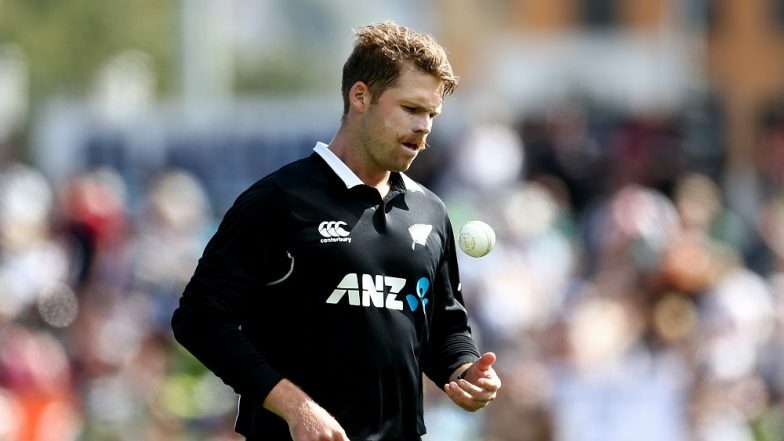 I'm pretty excited he's not on my side, I don't have to bowl to him," the New Zealand quick told reporters on the eve of their match against Kings XI Punjab. The Punjab outfit has explosive Chris Gayle in its ranks but Ferguson said they are prepared to tackle the Jamaican. IPL 2019: Andre Russell One of the Most Powerful Hitters I Have Seen, Says Jacques Kallis. "Chris (Gayle) is in some pretty fine touch at the moment. He really batted well last night. It's nice to watch him. Perhaps there are some areas we can look at attacking him," he said of Gayle who starred with a 47-ball 79 to fashion Kings XI Punjab's 14-run win against Rajasthan Royals. KKR vs SRH, IPL 2019 Stat Highlights: Andre Russell Guides Home Team to Six-Wicket Victory. KKR have the reputation of being a spin-oriented attack as Ferguson said it's exciting time to be part of the bowling unit. "To have the spin attack we have, and with PK (Prasidh Krishna) swinging the ball and being very good at the death, so by no means I think I'm leading. We all do our part. Andre Russell also got the wickets."